Have blogged about mystic forms of Corbett in the past and here is another brief update from the foothills from the Himalayas where early morning rays mingles with the mist to create some divine light with a midas touch which sparkles any subject in such majestic backdrops. 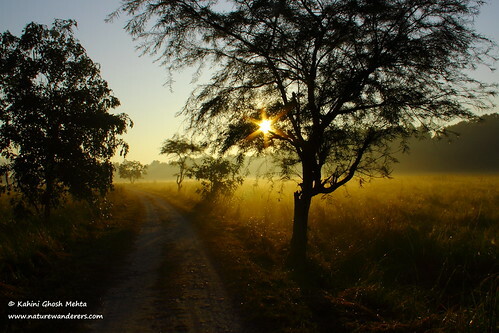 This time it was some deer species like the hog deer and in search for mist and light, we bumped into a tiger sitting in a dramatic saal forest. A warm summer evening. A drive through the picturesque Kumaon forest. The Gypsy you are in comes to a sudden halt. 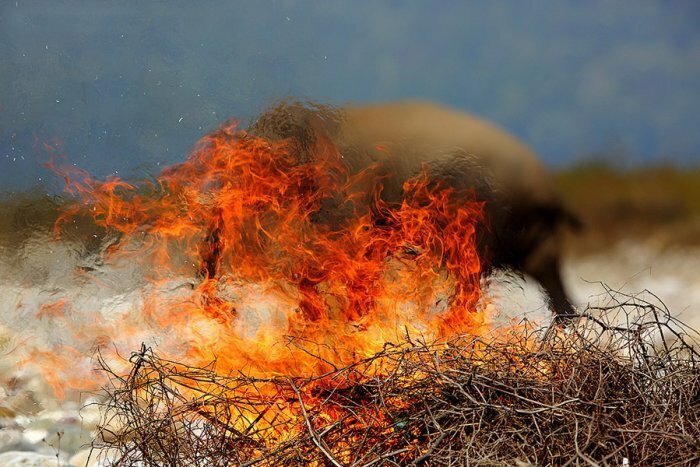 There is excitement in the air as a chital herd belts out frantic alarm calls. 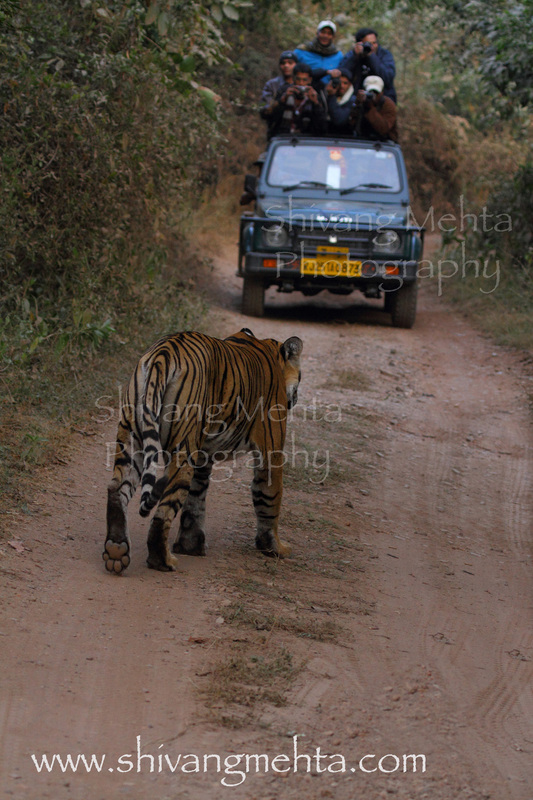 Not too long after, a majestic tiger walks toward the river. A few metres across, a herd of elephants slowly approach the river for their evening drink. As your eyes shuttle between these two magnificent species, two aerial acrobats vie for attention. A pair of Pied Kingfishers hovers right above the middle of the river in search of an evening snack. 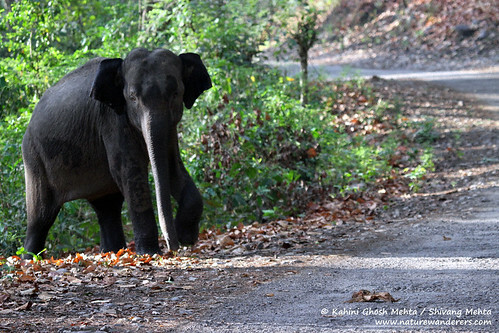 This is the true magic of Corbett National Park… the land of roar, trumpet and song! Secondly, while the core zone of each Protected Area should definitely not be turned into a free-for-all, there must be a debate on how tourism can help to protect the core areas. Field biologists and forest officers need to work together to come up with a plan that suggests how ‘controlled’ tourism in core areas in some parks can be turned into a monitoring exercise for a few days each month. Most wildlife offences including poaching, cattle grazing and woodcutting take place in the core zone where offenders have free rein. 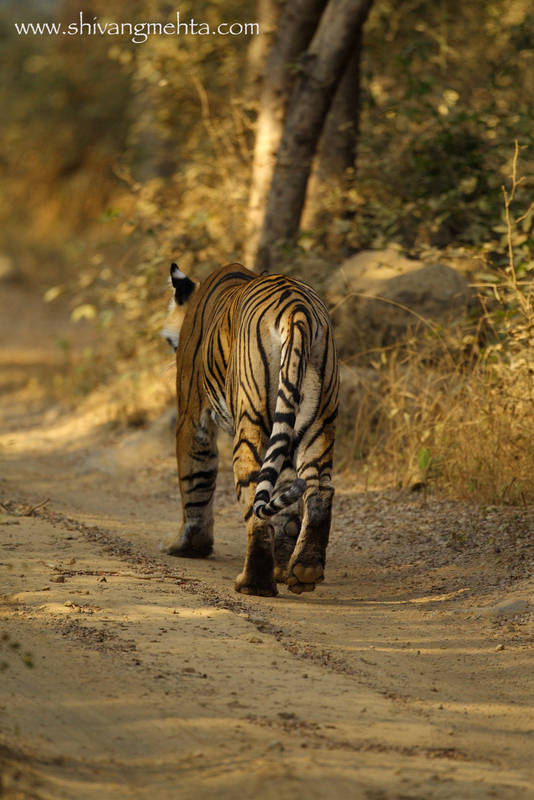 In Ranthambhore, the poaching incidents that took place between 2003 and 2005 only came to light because poachers started targeting tigers in the tourism zone, after they had wiped out tigers from the inaccessible core. If tourists are asked to actually monitor the core area for perhaps a few days each month but asked to pay for the experience, the revenue generated could pay for 24×7 patrolling, 365 days a year. Core areas were created to allow wildlife the solitude they deserve but given the magnitude of threat from poaching and illegal grazing, we must take a fresh look at what can ensure them greater safety.